By now we know that the best way to see Iceland is by car. We also know everything you should consider when renting a car. Let’s move onto what makes a successful Iceland road trip! The main roads in Iceland are easy to drive, especially if you will be visiting the popular tourist stops. Everything marked really well with distances and signs pointing towards the attractions. If you have a good rental car and a solid itinerary, all that’s left is enjoying all of the beauty that Iceland nature has to offer! Part 4: Road Signs You Need to Know Before Driving in Iceland + FREE e-book! 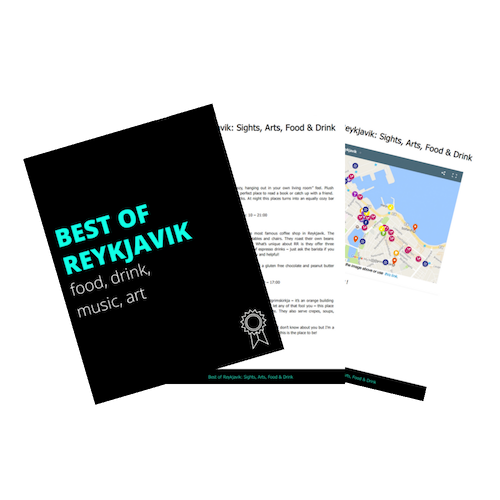 Bonus: 7 Budget Friendly Restaurants in Reykjavik + FREE restaurant guidebook! Who wants to stop for food when you’re cruising along enjoying all of the beautiful nature? Sometimes restaurants and gas stations are so spread apart, you do NOT want to be going hungry! Better to be prepared. The two main grocery stores are Bonus and Kronan, and will have everything you need for snacking. Just be aware that if you arrive on the 6am IcelandAir flight and plan on heading into the country right away, these stores don’t open until 10am at the earliest! The weather in Iceland changes all.of.the.time. When I was driving last weekend, for example, one minute it was sunny and I didn’t need a coat outside, and then the next minute I was driving through a blizzard where I could hardly see the road. Sometimes it’s pouring down rain, and then it’s clear. You can’t control the weather, but you have to be prepared for it! It is SO important that you pack for all seasons, no matter what time of year you’re visiting Iceland. Having outer layers that are wind and waterproof is an absolute must. And don’t forget to bring your swimwear with you at all times! You never know when you will run into a secret hot spring or an outdoor pool. Warning: you WILL want to stop every 5 minutes. The landscape in Iceland is constantly changing and everything looks more beautiful than the last. I know…I was taking photos out the window! But trust me, the roads are narrow with very little shoulder, and there is really not enough room to pull over. There are times when I’m driving that I have to swerve around a stopped car for a tourist taking photos. This is so dangerous because now I’m in the lane with oncoming traffic! Don’t risk yours or anyone else’s life. There are lots of areas to pull off and driveways to stop at. Park your car, and allow other drivers to continue on safely. The tourism in Iceland has increased 45% in the past year and continues to grow. Remember most of the things to do in Iceland are part of the natural landscape. It is extremely important to preserve this wilderness for years to come. Stay on the natural footpaths, and don’t cross over areas that are marked off. In recent news, a tourist was too close to the waves on one of the famous beaches. The strong waves and current pulled him under, which ended in fatality. The forces of nature should not be tested. Use common sense, please be safe. These are ACTUAL THINGS that tourists do. They end up on the Iceland news. DON’T be like those people! There will be certain stretches on the drive where nothing is in sight, you do NOT want to be stranded in the middle of Iceland. Keep your gas tank topped off so there is no risk of running low. Find the payment terminal next to the pump. Slide your credit card in and follow the instructions on screen. Enter an amount of fuel you want to put in the car. This will be a maximum limit, if it fills up before you reach what you entered, you will only be charged for the amount of fuel you used! If you want a receipt, re-enter your credit card when finished fueling. So you will be spending a lot of time in your vehicle driving from awesome place to awesome place. I don’t know about you, but music is a big part of my travel. I especially love having a song or a group of songs playing on each trip. Then, when I hear that song later on, it always reminds me of the time we were driving in X place. Dirty Paws by Of Monsters and Men is that song for us in Iceland. In fact, OMAM is literally the perfect soundtrack for Iceland, it fits the mood perfectly! P.s. make sure to bring Aux cable or usb cord to hook up in your rental car! Fact: Sheep outnumber humans in Iceland. They are everywhere! They are allowed to roam freely and can also cross the roads. Usually they are pretty good about moving when they see traffic coming, but if not just gently honk so they get off the road! The amount of photos that you will take in Iceland will likely pass up your all time record. I think we took 1200 photos on our honeymoon trip alone! Would there be anything worse than running out of space for photos?! No. You will need at LEAST 32 GB of memory, and I would suggest more if you plan on taking photos in RAW. We always have a backup just in case. I guess this might sound pretty obvious, but it is worth noting. There are a lot of things that could go wrong on a big road trip, especially if you’re planning on driving into the less traveled parts of Iceland. Being prepared and knowing where you are going will save you a lot of stress. Iceland is unbelievably beautiful, you will often times feel like you are in the middle of the filming location for Game of Thrones (oh that’s because you are!). Safety always comes first. If a road is closed/impassable, don’t drive on it. Respect other travelers, everyone is here to enjoy nature. Relax, drive safe, take a bunch of photos, and have fun! 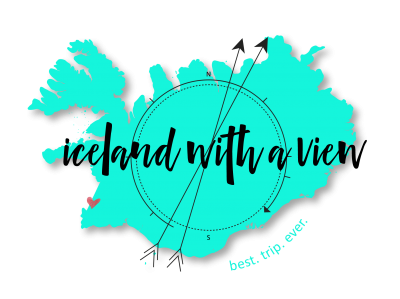 Question: Are you planning an Iceland road trip? I’d love to hear about it! Make sure you can read the Icelandic road signs with my complete guide! Driving in a new country can be scary and you want to be able to read the signs! Don't worry, I got you covered with this detailed guide. Drive in peace, my friends! Thanks for this wonderful, informative post! My partner and I are planning a trip to Iceland in 5 weeks. We’re considering buying a portable wifi device for the car to serve as a gps. Have you used/ heard of this before? Your site is excellent! We just got back from Iceland a few weeks ago. Mostly Reykjavik, Golden Circle Area and Vik. Put over 1600 miles on the rental car and had a total blast! 2. we uploaded the Iceland Map onto our old Garmin GPS (cost $90). Sometimes one worked, and the other didn’t, so it was great to have both. Also, get whatever tourist maps show the areas you are going. Those are easier to use than a big old-fashioned map, but it isn’t going to hurt to have one of those either. We are coming for 9 days next week (arrive April 14)! Cannot wait. We are renting a car and heading to a B&B outside Rekjavik, then back to an apartment we rented in Reykjavik, then south to Vik for two days. Our plan is to see everything on our own by xar, but are going to book a glacier hike tour in Vik. Do you have any suggestions on tour companies? Weather looks great for next week 32-48 degrees. Will qhave winter hats and coats and epwaterproof gear. Any other must haves? Thank you! PS saw OMAM here in the US last year. Love them! Thank you for the sweet comments! Sounds like you have an awesome itinerary planned so far. I’ve heard great things about Asgard Beyond and Guide to Iceland, but I haven’t yet done a glacier hike myself. Enjoy your trip! I did a 10 day driving trip around Ring Road this past summer and loved it. I’d agree with all your tips. The only thing I’d add is about gas. We found some pumps that only took a prepaid card, so we were careful to always have a prepaid N1 card with us. Thats a good point, Beth thank you for your input! I went to Iceland a long time ago as a child (around 10-11 years old). I’ve witnessed two friends who have recently visited and the travel-bug has bit me! I so long to visit Iceland now and explore all its beauty! This post is beautiful and has me dreaming some wild dreams! Thanks for sharing! Thats awesome that you were here when you were so young! Do you remember anything about your trip? Thanks for reading, Danae! Thanks Ally! I actually learned that tip the hard way, when we wanted to get groceries we had to wait around for two hours for the stores to open! Wow, that sunset photo is amazing! I had no idea sheep outnumbered humans in Iceland. That is so interesting! Another great post, Jeannie! Dirty Paws is my favorite OMAM song – I can only imagine listening to it on a road trip in Iceland! Maybe silly question that I wouldn’t want to ask the dealership: I’m guessing rental car co’s expect you to bring them back the car with a full tank, am I correct here? #1 is perhaps the most important for me. Nobody likes hanger on a road trip!